You have to listen to this. I did, and I recommend it. It’s not how-many-angels-on-a-pinhead theology. It’s personal. It impacts our lives. It helps ground us in God’s love in Christ. And it leaves us rejoicing. Having clearly road-mapped my future blogging (http://theoldpreacher.com/explain-james/) , I’m abruptly turning down an unexpected side road . . .
I’ve never paid much mind to Christian titles, whether denominational (Baptist, Presbyterian, Assemblies of God, etc.) or theological (Arminian, Reformed, amillennial, etc.) They sometimes categorize unfairly. Like: every Baptist is like every other Baptist and so on.) As far as the theological groupings, (as I’ve said before), I think they all have to twist certain texts to fit their systems. I suspect when we see Jesus we’ll all realize we were a little wrong. For that reason, I’ve never been big on systematic theology. In 44 years of preaching and teaching, I’ve primarily focused on the text at hand, trying to read it as much as possible as the original readers would have, and hopefully close to what the author intended. I was raised, and originally ordained, in an Assemblies of God church. I have a Pentecostal heritage. (Note: I don’t hold to all the A/G tenets of faith.) Neither time nor space allows me to fully define Pentecostalism nor relate its history. (Google “Pentecostalism” and find plenty.) To some, Pentecostal conjures up images of people falling on the floor or barking like dogs or prophesying the future. While sadly those images are based on fact, that’s not the Pentecostalism I grew up in. Yes, being baptized in the Spirit with “the initial physical evidence of speaking in other tongues” was emphasized, occasionally overly. But, by and large, the manifestations of the Spirit’s gifts were kept within biblical bounds. More than gifts, Pentecostalism meant, at least for me, a rich presence of God the Holy Spirit, a personal experience with him that reached deeper inward than the mind alone. So now in my “retired” years, without letting go of the good Reformed theology provides, I find part of my heart returning to some of my Pentecostal heritage. I have recently quoted Dr. Gordon Fee, an American-Canadian Christian theologian and an ordained minister of the Assemblies of God (USA). 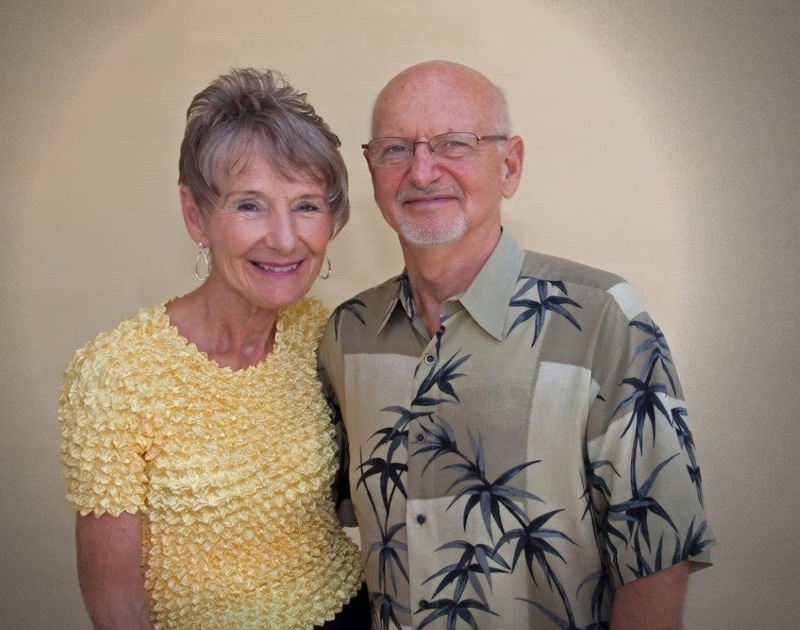 He currently serves as Professor Emeritus of New Testament Studies at Regent College, Vancouver, British Columbia. ” . . . I began to think of my own Pentecostal heritage (that is, Fee’s), and how we have depersonalized the Spirit–not in our theology itself, mind you, but in our ways of thinking and talking about the Spirit. Our speech is what betrays us. With us the Spirit is depersonalized into an empowering experience. We are empowered by the experience, but not by the empowering presence of God himself. And then I thought of my lifelong existence in evangelical circles–where the Spirit is kept safely in the creed and the liturgy. He is personal, well enough. We would be unorthodox to think otherwise. But for many, he is anything but God’s empowering presence. Our images are biblical, but they are also impersonal. He is wind, fire, water–comes to us as an influence, or whatever. But he is not the one in whom and by whom we are sharing in the very love and grace and life of God himself. And I do not mean in some mystical way. Our problem is that the language of Father and Son evokes personal images; but the Spirit evokes that which is intangible, not quite real, because incorporeal (immaterial, ethereal). Paul’s prayer on the other hand (“The grace of the Lord Jesus Christ and the love of God and the fellowship of the Holy Spirit be with you all”–2 Corinthians 13,14), is that they might know the grace of Christ, the visible historical expression of the love of God, because as people of the Spirit they live in constant, empowering fellowship with God himself. 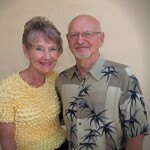 This is how the loving God and gracious Lord Jesus Christ are now present with us” (p. 29). This, whatever our theological stripe, I pray for us all. Here it is in words—excerpts from Peggy Noonan’s Saturday column in “The Wall Street Journal” . . .
Why come? I watched the end of the pope’s Washington mass Saturday as thousands lined up for the Eucharist. I wished I could take a poll: “What is it about the pope that drew you to come today?” I couldn’t, of course. But in “Love for Pope Brings Them to the Streets, Not Necessarily to Church,” Zelda Caldwell wrote her findings of why some people came . . . Does the pope make her want to go to Mass again? “No,” she said, “I don’t think it’s necessary for being a spiritual person.” Lying in the grass next to her, was Jorge Gonzalez, age 27, and originally from Colombia. “I like how humble he is. He’s taken himself off a high, holy spot, and is showing himself as just a human being.” Raised a Catholic, Gonzalez doesn’t attend church regularly, and says that in spite of his positive feelings about the pope, he probably won’t start. “Rocked” & Confused. But then I’m “rocked” like some in this 2013 “Huffington Post” article . . .
Pope Francis rocked some religious and atheist minds today when he declared that everyone was redeemed through Jesus, including atheists. During his homily at Wednesday Mass in Rome, Francis emphasized the importance of “doing good” as a principle that unites all humanity, and a “culture of encounter” to support peace. Then, this “Inquisitr” article from last year confuses me about Francis . . . Affected? How should I evaluate the pope? How does all this affect the “Francis effect”? On one hand, he is the pope who embraces everyone and claims Christ redeemed all. He represents the Catholic doctrine that those outside the Catholic church cannot have eternal life. Then there’s the “Vicar of Christ” doctrine. According to the Catholic Encyclopedia, “Vicar of Christ” is a title of the pope implying his supreme and universal primacy, both of honour and of jurisdiction, over the Church of Christ. It is founded on the words of the Divine Shepherd to St. Peter: “Feed my lambs. . . . Feed my sheep” (John 21:16-17), by which He constituted the Prince of the Apostles guardian of His entire flock in His own place, thus making him His Vicar and fulfilling the promise made in Matthew 16:18-19. (http://www.newadvent.org/cathen/15403b.ht). In other words, as the Vicar of Christ, the pope is the representative of Christ on earth with the same power and authority over the church Christ has. Here are the passages. Read them and see if on their face they provide any basis for the Catholic interpretation. Again Jesus said, “Simon, son of John, do you truly love me?” He answered, “Yes, Lord, you know that I love you.” Jesus said, “Take care of my sheep.” The third time he said to him, “Simon, son of John, do you love me?” Peter was hurt because Jesus asked him the third time, “Do you love me?” He said, “Lord, you know all things; you know that I love you.” Jesus said, “Feed my sheep” (John 21:16,17). And I tell you that you are Peter, and on this rock I will build my church, and the gates of Hades will not overcome it. I will give you the keys of the kingdom of heaven; whatever you bind on earth will be bound in heaven, and whatever you loose on earth will be loosed in heaven” (Matthew 16:18,19). Catholics claim that, according to these texts, Christ made Peter the leader of the apostles. Later Peter became the first bishop of Rome with authority over all other bishops and church leaders. Peter passed that apostolic authority on to the next bishop, who then passed it on to the next and so on. By this unbroken chain of Roman bishops, the Roman Catholic Church claims it is the true church. So I ask again: How should I evaluate Pope Francis? On several key doctrines, I’m opposed. The “Vicar of Christ” teaching. Their doctrine of salvation. Relationally, I like the man. If I knew him personally, I think I would love him. Doctrinally, I seem him as a product of his Catholic system. Most of us are. For 25 years I was a doctrinal product of the Pentecostal denomination in which I was raised and schooled. That didn’t make me a deceiver. Nor does it make the pope an intentional deceiver. I certainly can’t oppose his love of people, especially for the poor, the imprisoned, the outcast. He embraces them as Christ did and as he taught us to. So much of what he said and did on this U.S. visit was a fresh-air breath of kindness, mercy and love. I see in Pope Francis a man who genuinely loves God and neighbor. Though I disagree on key doctrines, I respect him and appreciate his pastoral warmth relationally. I want to focus on where we agree, not disagree. While acknowledging our important differences, I want to build him up in my speech, not tear him down. Correct doctrine is vital. At the same time I must remember that God’s redeemed people through Christ includes more than those who adhere to my tenets of faith. And, holding to the doctrine of justification by grace alone through faith alone in Christ alone, I’m commanded to love my neighbor—even if he’s the pope! DON’T PLAY THE VIDEO YET! The Christian church is doomed without a high view of Jesus Christ. That should be self-evident from the name “Christian church.” Yet, just as we take for granted (or even ignore) a familiar person, it’s easy to take for granted (or even ignore) the breath-taking heights of Christ’s deity. 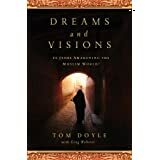 I’m reading Dreams and Visions, a book of narratives about Christ appearing in dreams and visions to unbelievers in countries where Christians are persecuted. It’s a fascinating read I recommend. In the chapter, “The Swords of Baghdad, Part 1”, is the section, “Two Faces of Iraq.” From it, I was reminded that Christianity has roots in (of all places) Iraq. In the 5th century a preacher named Nestorius became patriarch of Constantinople (in today’s Turkey), Nestorius believed Jesus had “part of God’s spirit”, but was not fully God. Because he enjoyed wide influence, church leaders in other jurisdictions of the church convened the Council of Ephesus in 431 A.D. The Council formally denounced Nestorius, removed and banished him to Egypt. But many of his followers moved east to Persia. In Persia (Iraq) Nestorius’ followers found listening ears for their “low-view-of-Christ” theology. The church they planted became known as the Assyrian or Syriac Church and even sent missionaries back to today’s Turkey. 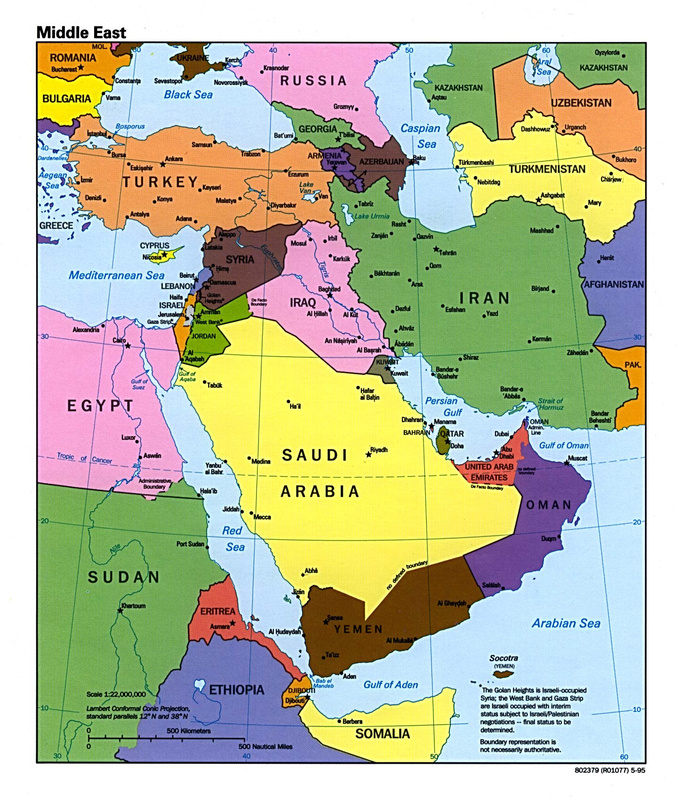 Today “Assyrian Christians” are scattered through most of the Middle East. In 1976 the Assyrian Church rejected some Nestorian beliefs, but debate remains over the church’s acceptance of the full deity of Christ. Most of our churches maintain proper doctrinal statements about the deity of Christ. But usually we picture him walking the roads of Galilee or hanging on the cross. Thank God he did! However, without being less than a man, he was and is so much more, more exalted than we can imagine . Here are just a few Scriptures to raise our sight of him. and the Word was God (John 1:1). through whom he created the world. the firstborn of all creation (i.e., like the “firstborn” who inherits all that is the father’s). For in him all the fullness of God was pleased to dwell . . . (Colossians 1:15-19). and put out your hand, and place it in my side. AND WORSHIP OUR HIGH AND EXALTED CHRIST WHO IS GOD! Cut the “Body” from the Bible? Ready to “scissors-surgery” 1 Corinthians 12? Previous posts (“Gifts to Love” and “When the Perfect Comes”) hopefully make us hesitate. But, if you’re still a cessationist (one who believes the gifts of the Spirit ended with the apostles) you have no other choice. Cut the Body of Christ from 1 Corinthians 12! But holster your scissors for a bit there, partner, and get comfy. We’re going to take a round-about route to answer why cessationism logically compels cutting. CONTEXT. Paul’s subject in chapter 12 is spiritual gifts—not a full theology of the gifts, though. Paul wrote to address the Corinthians’ abuse of one gift—speaking in tongues. To them that gift was the supreme sign of “spirituality.” In chapter 12 Paul lays the theological groundwork for correcting their error. CONFESSIONAL CONTENT: JESUS IS LORD (12:1-3). (For the sake of space, I can quote only portions of the text throughout. Reading it all would be helpful.) Here’s the last clause of this paragraph: ” . . . no one can say ‘Jesus is Lord’ except in the Holy Spirit” (12:3b). “Jesus is Lord!”—that was the early church’s supreme confession of faith. It was also the test to determine if a person was speaking “by the Spirit” or some other spirit. Because only the Holy Spirit can transform a self-allegiant heart to confess absolute allegiance to Jesus. Therefore, any speaking that demeans or detracts from the supremacy of Jesus is not of the Spirit. UNITY WITH DIVERSITY IN THE BODY OF CHRIST (12:4-11). “Now there are varieties of gifts, but the same Spirit; and there are varieties of service, but the same Lord; and there are varieties of activities, but it is the same God who empowers them all in everyone” (12:4-6). God is three persons in one person. In this paragraph Paul calls God “Spirit,” Lord” and “God.” In God there is diversity (three Persons) in unity (one Person). So there is unity with diversity in God. Accordingly, there is unity (the church is one Body) with diversity of gifts. (“Gifts”, “service”, and “activities” are nuanced ways of referring to the Spirit’s gifts or “manifestations”.) Therefore, to elevate one gift as the sign of “spirituality” contradicts both the nature of the gifts in the Body of Christ and the Triune God himself. Furthermore, each “manifestation” (a “going public”) of the Spirit is “for the common good” (12:7)—that is, for the whole Body of Christ. 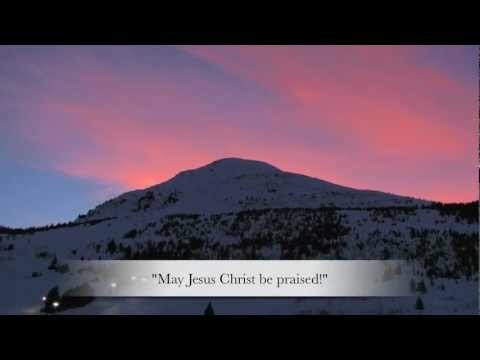 Paul lists (representative not exhaustive) the Spirit’s manifestations or gifts—the utterance of wisdom, the utterance of knowledge, faith, gifts of healing, working of miracles, prophecy, the ability to distinguish between spirits, various kinds of tongues, the interpretation of tongues (12:8-10). Who gets what? That’s up to the Spirit. “All these are empowered by one and the same Spirit (unity of source with diversity of manifestation), who apportions to each one individually as he wills” (12:11). THE HUMAN BODY AND THE BODY OF CHRIST (12:12,13). “For just as the (human) body is one and has many members, and all the members of the body, though many, are one body, so it is with Christ. For in one Spirit we were all baptized into one body—Jews or Greeks, slaves or free—and all were made to drink of one Spirit.” The human body is “one” (a single unit made up of many members). So the Body of Christ (the church) is “one” (a single unit made up of many members). What makes the diverse church “one Body”? All members were baptized “in one Spirit” and “were made to drink of one Spirit.” We ask, “Are you a believer?” For Paul, the question was, “Do you have the Spirit?” To him, the Christian life begins with and is marked by the transforming work of the Holy Spirit—a work evidenced one way by the gifts of the Spirit. AN ANALOGY: THE HUMAN BODY (12:14-26). ” . . . the (human) body does not consist of one member but of many” (12:14). The foot is as much a part of the body as a hand; the ear belongs as much as the eye. “God arranged the members in the (human) body, each one of them, as he chose” (12:19). Many parts, one body (12:20) according to the Creator’s design. Furthermore, each part is needed—eye, hand, head, feet, etc. The “parts-connection” is so tight, in fact, that when our stomach is sick, we often say, “I’m sick” or we actually feel sick all over (12:21-26). THE BODY OF CHRIST (12:27-31). Paul moves from analogy (the human body) to reality: “Now you are the body of Christ and individually members of it” (12:27). But don’t miss who these members are and what they have been equipped with: “And God has appointed in the church first apostles, second prophets, third teachers, then miracles, then gifts of healing, helping, administrating, and various kinds of tongues” (12:28). In the one Body of Christ God has established a diversity of gifts. CONCLUSIONS (finally!). If cessationists are correct, if the gifts of the Spirit ended with the death of the apostles or the close of the biblical canon . . .
the very nature of the Body of Christ as Paul describes it here has died too. This is because the gifts of the Spirit empower individual members of the body to serve as a means of good for the body. If the Spirit no longer manifests himself by gifts through the members, the means of the members’ ministry to one another as the body no longer exists. If continuationism is biblical, the cessationist church is missing out on a veritable cornucopia of the Spirit’s gifts for the church’s good. So which will it be? Cut 1 Corinthians 12 from our Bibles? If you believe the Spirit’s gifts are gone with the apostles, you have no choice. Logically you have to don your surgical gown and remove the Body of Christ as Paul describes it. Or you can review the evidence in these blog postings, put your scissors back in the desk, take the risk, and “Pursue love, and earnestly desire the spiritual gifts, especially that you may prophesy” (14:1). Before we take scissors to 1 Corinthians 12, let’s take a closer look at “the Perfect” in 1 Corinthians 13. Because this is the text that reveals when the gifts of the Spirit will end. WHY THIS MATTERS. We’re not splitting theological hairs. The gifts of the Spirit are from God and good for building up the church—that’s us together (1 Corinthians12:7; 14:12). So if we believe spiritual gifts have ceased but they haven’t, our church is missing some of God’s good for us. On the other hand, if we believe they haven’t but they have, we’re being deceived by “gifts” not of God. THE STRUCTURE OF THE PASSAGE. Here’s the passage again . . .
Notice Paul contrasts love with gifts. Love “never ends” but the gifts (represented here by prophecies, tongues and knowledge will “pass away/cease.” He makes that contrast, not to disparage spiritual gifts, but to show the Corinthians shouldn’t be making spiritual gifts (especially tongues) the sign of spirituality. They should be esteeming love as the sign—because the gifts will pass away but love will never end. After explaining love never ends but spiritual gifts will pass away, Paul gives two reasons (both beginning with the word “For”) and one illustration to support that statement. First reason why spiritual gifts will pass away: they are partial and will pass away when the perfect comes. Second reason why spiritual gifts will pass away: now our knowledge is “partial”, like seeing “dimly” in a mirror (ancient Corinth was famous as the producer of fine bronze mirrors), but when the perfect comes our knowledge will be full. Not like looking face to bronze mirror, but face to face. Gifts won’t be needed to “know” the Lord any longer, because we will see him up close and personal! THE PERFECT. 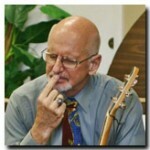 On a blog called “The Cripplegate”, Nathan Busenitz (Professor of Theology at The Master’s Seminary), claims the biblical interpreter can believe “the perfect” is love or the completed Scripture canon or the mature church or the believer’s entrance into Christ’s presence at death or the return of Christ or the eternal state and still remain a cessationist. Furthermore, he goes on to say, “Anthony Thiselton (Church of England theologian and author) notes in his commentary on this passage: ‘The one important point to make here is that few or none of the serious ‘cessationist’ arguments depends on a specific exegesis of 1 Cor 13:8–11 . . . . These verses should not be used as a polemic (argument of support) for either side in this debate’ (NIGTC, pp. 1063–64)”. What? My mouth is dropping. How can someone be a cessationist if he believes “the perfect” refers to the return of Christ? Why should 1 Corinthians 13:8-12 not be used to support continuationism? Pardon me if I respectfully reject Busenitz’s and Thiselton’s views. “The perfect” is clearly the end of this present age when Christ returns. When “the perfect” comes the Spirit’s gifts will pass away. Until then they continue as they have from the outpouring of the Spirit in Acts 2. I am a continuationist and will be until someone convinces me differently from Scripture (not from church history nor from a list of cessationist giants of the faith). But before we leave our scissors in the drawer and save 1 Corinthians12 in our Bibles, we have one more bit of evidence to consider. To that we’ll turn next time . . .
Did the Spirit’s gifts end with the apostles? If so, we might as well grab scissors and snip 1 Corinthians 12 from our Bible. WHY IT MATTERS. If we believe spiritual gifts have ceased but they haven’t, our church is missing some good things (1 Corinthians 12:7)—like upbuilding, encouragement and consolation (1 Corinthians 14:3). On the other hand, if we believe they haven’t and we’re seeking them, we’re being deceived by “gifts” that aren’t of God. FULL DISCLOSURE. I’m a continuationist—someone who believes the Spirit’s gifts have continued from the 1st century to today and will until Jesus comes again. My wife and I grew up in a Pentecostal church. I graduated from a Pentecostal Bible college. I was originally ordained in a Pentecostal denomination. If you think I might suddenly bark like a dog or get “slain in the Spirit” or break out in “holy laughter”, think again. I abhor the abuses of the abusers as much as the staunchest cessationist does (someone who believes the Spirit’s gifts ceased with the apostles’ death around the end of the first century). CONTEXT AND PROOF TEXT. How can we know which view is right? Scripture, soundly interpreted. That requires knowing the context of the proof text. (That’s the verse or verses used to substantiate a particular theological viewpoint.) For cessationists, the primary proof text (as far as I can tell) is 1 Corinthians 13:8-12. Generally cessationists interpret “the perfect” to mean the close of the biblical canon. (“Canon” means “rule” or “standard” and in this context refers to the rule or standard of truth that God has revealed in Scripture.) When the apostles died or (some say) when the church officially recognized which books were God-breathed (that recognition came in the 4th century A.D.), the gifts of the Spirit ceased. The gifts were needed to confirm the apostles’ gospel preaching. The completed canon was self-confirming. To evaluate the cessationists’ interpretation of verse 10, let’s look at its context—the rest of 1 Corinthians 13. 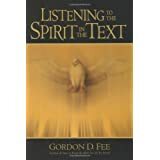 Seen in its larger context of chapters 12-14, chapter 13 functions as the way the gifts of the Spirit are to be desired. “But earnestly desire the higher gifts. And I will show you a still more excellent way” (last verse of chapter 12). “If I speak in the tongues of men and of angels, but have not love, I am a noisy gong or a clanging cymbal” (first verse of chapter 13). Here’s the whole chapter . . .
Love is necessary (12:1-3). “If I speak in the tongues of men and of angels, but have not love, I am a noisy gong or a clanging cymbal. And if I have prophetic powers, and understand all mysteries and all knowledge, and if I have all faith so as to remove mountains, but have not love, I am nothing. If I give away all I have, and if I deliver up my body to be burned, but have not love, I gain nothing. THE SUPREMACY OF LOVE. Since I’ve exceeded my length limit (are you still there? ), I’ll have to say “to be concluded next time.” But let’s take note how Paul resolves the Corinthians’ tongues-abuse. Before he issues “how-to instructions” for desiring spiritual gifts (chapter 14), he turns the spotlight on love. Without love, spiritual gifts amount to nothing more than self-indulgence. Without love “how to instructions” amount to nothing more than legalistic regulations. Love is supreme! Are we lovers like Jesus in the way we desire and use spiritual gifts? Are we lovers like Jesus when we discipline someone who uses a spiritual gift in an out-of-order way? Are we lovers like Jesus when we debate cessationism versus continuationism? Because they won’t know that we are Jesus’ disciples by our spiritual gifts or absence thereof. They will know we are his disciples if we love one another as he loved us (John 13:34,35).